Deb is originally from Iowa and currently lives in Lakeville. She received degrees from National College and Waseca Technical College. She's always had pets including, dogs, horses, cats, fish, and hamsters. She lives in Lakeville with her family and her Golden Retriever Charlie. 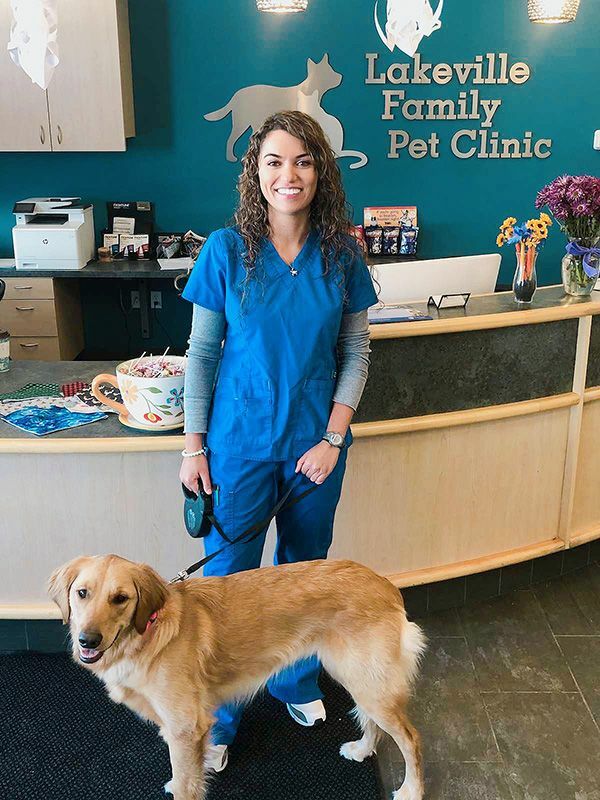 She loves meeting new clients and their pets, as well as building relationships with all the wonderful pet owners who come to Lakeville Family Pet Clinic! Ashley is a second generation American with her mom’s side being from Guyana. She is from Rosemount and went to Minnesota School of Business in Lakeville and has been a CVT since 2016. She always thought working with animals would be the best job she could imagine. Her primary veterinary interests are in the areas of surgery and behavior. 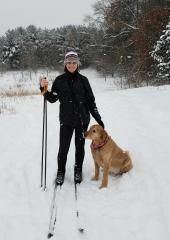 Heidi is originally from South St. Paul, MN, and went to Argosy University for her Veterinary Technician education. Her primary medical interests include animal nursing as well as running diagnostics. Heidi has 2 cats at home, as well as a French Bulldog/Boston Terrier mix. Gabby's family is from Brazil originally but is a first generation American born in Burnsville. 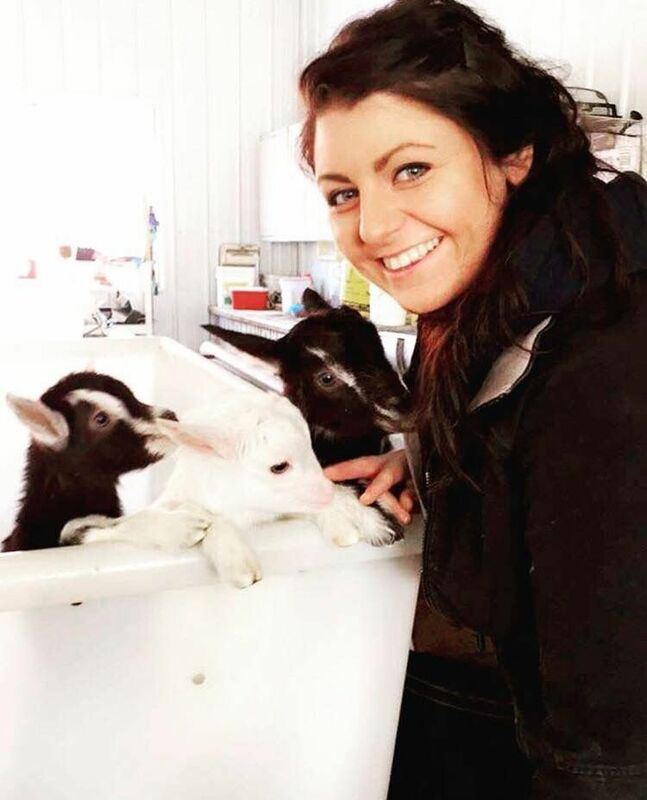 She went to Argosy University and has had a passion for taking care of animals since she was a child. 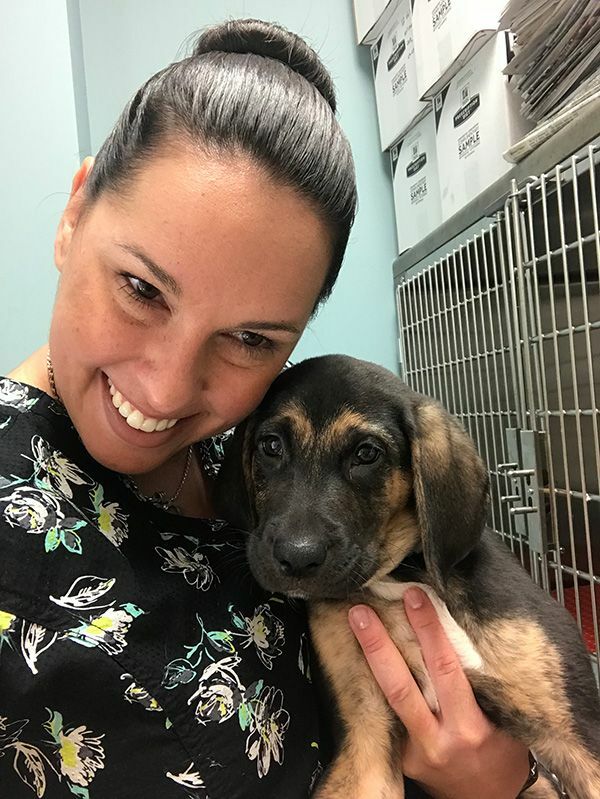 Her primary veterinary interests are in the areas of providing critical care for sick and hospitalized patients. Gabby has a Somali Cat named Pierre Benoit, a Border Collie named Azaio, and two guinea pigs named Ivy and Jolie at home. 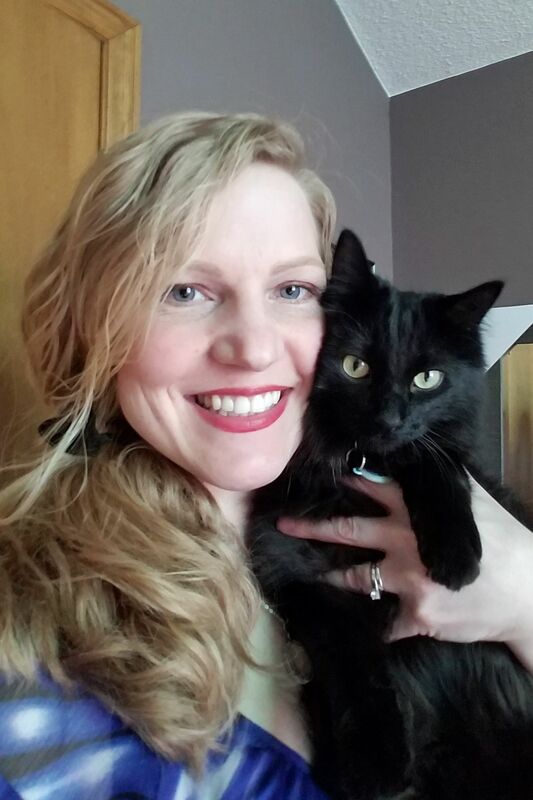 Laura is from Rosemount and received her degree in veterinary technology from Argosy University in 2004. In addition to her veterinary education, she also has a degree in radiation therapy. 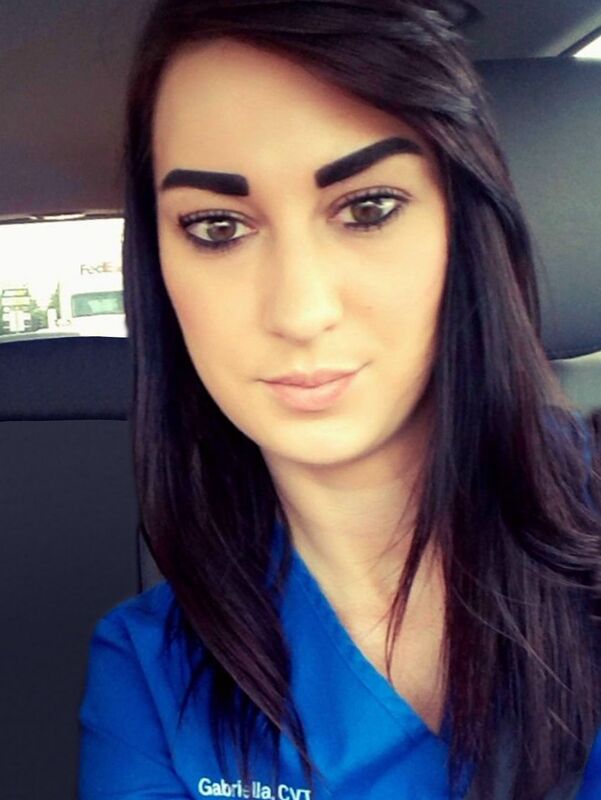 She has always loved animals and has wanted to work in the veterinary field since she was a little girl. She enjoys all aspects of veterinary care. She shares her home with her family, a Persian cat named Chuck, and a Siamese cat named Lexi. Melissa is from south Minneapolis and received her degree from Argosy University in veterinary technology. As a child she was always around animals, and her step-mom was a veterinarian who owned her own practice. Her primary veterinary interests are in the areas of surgery and anesthesia. Kari is originally from Indiana and graduated from Indiana State University. She has been a CVA since 2017. She has a deep love for animals and being surrounded by them in her work environment. Her primary veterinary interests are in the areas of nutrition & surgery. She rescued an adorable dog named Toby, and has 2 guinea pigs named Snowball & Guinea. Lauryn is originally from Louisville, KY but now lives in Northfield. She received her Bachelor of Science in zoology from Minnesota State University, Mankato. 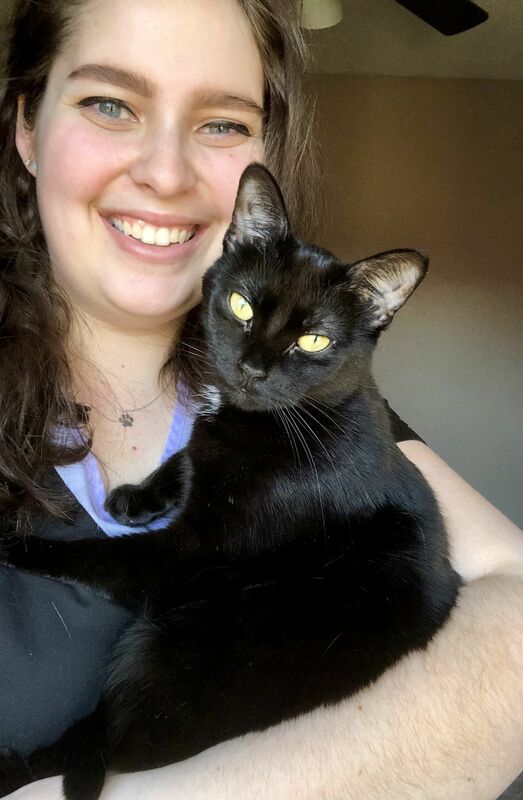 She has always been interested in helping animals, especially after working with multiple rescues during her time in college. Her primary veterinary interests are in the areas of parasitology and behavior. Lauryn has two black domestic shorthairs, named Flynn and Luna. Tammy is originally from Winsted but now lives in Apple Valley. She received her degree in veterinary technology from Argosy University. Tammy grew up on a farm and has since been around animals and has always enjoyed science. Her primary veterinary interests are in the areas of anesthesia and the lab. She shares her house with her family, her Keeshond Faye, and her three cats Baby Dill Pickle, Fuzz, and Dustbunny.